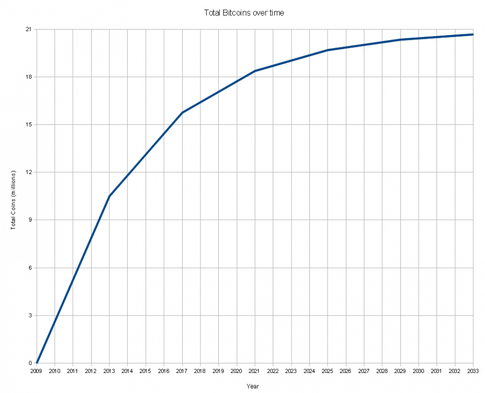 The Refined Geek » BitCoin, Pyramid Schemes and Alternate Currencies. Bloody hell, you’ve just taken me back 12 years… I had completely forgotten about Beenz! Maybe you should let your rational side out for a bit and actually read up on how bitcoin works and the ideas behind it, compare it to your pocket dollars. Although it looks like you’re trolling, I’ll dignify you with a response. Emotional? I said I liked the idea but was sceptical about its implementation since it had a pretty strong feeling of being a pyramid scheme. I know how the system works and comparing it to my “pocket dollars” as you put it shows that there are some serious challenges that BitCoin needs to overcome (money laundering for one) before I’ll be using it as currency. Cyrptocurrencies are an ingenious idea and I’m definitely interested in seeing how they progress but unfortunately BitCoin’s blatant favouritism to those who joined the program early is one of the reasons I don’t want to be using it. Sure the creators should be rewarded for their efforts but realistically I’d be taking them a whole lot more seriously if the BitCoin network didn’t follow the logarithmic curve that puts a disproportionate amount of wealth in the hands of a minority of users. A little confusing as it looks like you’re the one visiting…? The only people who get emotional about bitcoin are the retards who spit venom at anyone who makes a rational suggestion to improve the project. Given the fact that it is open source and P2P, a true revolutionary would be trying to spawn it into every town, village and hamlet on the planet. Ordinarily, I’d say to fork the bitcoin project but the code is a mess and the concept is full of holes. There’s nothing for writing hooks or plugins. I would just write a new implementation and ignore the stupid retort that nobody will follow into the better, non criminal version. They will come when the music stops because the idea is already out in the wilderness and a lot of smart, honest people can make it work. There’s nothing magical about bitcoi. I think I do since the usefulness of BitCoin is contingent on getting more people into the network who can only benefit when even more people get on the network. The people at the top (I.E. those that got in early) are the going to be the main benefactors and everyone who joins in afterwards will have a much longer time to reach the same kind of wealth that they have. If that doesn’t sound like a pyramid scheme to you then I’d like to hear what your definition of a pyramid scheme is. A pyramid scheme is a phony investment that only benefits the people who got in early. They get rich at the expense of everyone who comes after them. Eventually they run out of new suckers, everyone who joined last loses their investment, and the scheme falls apart. Bitcoin is a currency, not an investment scheme. It doesn’t rely on a constant stream of new users to provide returns to older users. It doesn’t claim to deliver a return to anyone. It’s for moving value around, not earning interest. Now it’s true that people who got a lot of bitcoins when the system was small and unknown have seen them gain in value. But that’s true of everything that gets traded and experiences a growth in demand. People who bought seemingly worthless land decades ago have seen it become more valuable. If you bought Apple or Microsoft stock in the 80s, it’s worth a lot more now. Does that mean real estate and stocks are pyramid schemes too? Yes, people who’ve mined since the early days have gotten a massive return on what they paid for hardware and electricity. And people who worked at Google or eBay when they were startups got a massive return on their time: they took a gamble on something unproven that might have been a total failure. You won’t get the same windfall if you join those established companies today, but that’s the wrong reason to do it anyway. I’d be inclined to agree with you Anon however whilst BitCoin might aspire to be a currency it does not achieve this goal as many people are in fact using it as an investment vehicle, not as a vehicle for transporting value. It is in fact a highly speculative investment vehicle that’s undergoing massive, unsustainable growth and this is the main reason behind why it tends towards being more of a pyramid scheme than a proper currency. The reason I take issue with the concentration of a disproportionate amount of the BitCoin wealth in the hands of a few is that this detracts from its actual use as a currency. BitCoin would have functioned just as well with a steady, predicatable generation of new BitCoins however this would have made early adoption far less attractive, especially to the creators. This would make it far more attractive to use BitCoin as a currency rather than a speculative investment vehicle. The differences between BitCoin and the other investment opportunities you mention is the fact that they’re actual physical quantities. BitCoin as it stands isn’t backed by any form of asset or government endorsement which firmly removes it from realm of what is traditionally considered a currency. The appreciation in value of those assets came from the fact that they became scarce due to higher demand or the company generated significant value after being launched, none of which can be said about the BitCoin system. I’m all for rewarding creators of systems that provide value to people but the BitCoin creators chose a model which was at odds with their end goal of BitCoin becoming a currency. I understand their decisions for doing so (it was a wild way to get people in on the ground floor) but unfortunately that means that their currency will more than likely never make it in the real world, especially as long as it continues to be used as a speculative investment vehicle. BitCoins only have a USD value because people want to buy them because it benefits them. The reason that the system is being used is because it is far more convenient than using other payment methods. I don’t think the system was started because people wanted to turn it into a legal tender value; but rather to exchange some form of currency for electronic goods over the internet. Because it’s decentralized it doesn’t matter where the receiver or sender of the BitCoins are, the only thing that matters is they are connected to the internet. To be perfectly honest, I fail to see what your actual problem with BitCoin is? Do you perceive it as a big bad money stealing machine, bent on making the creators rich? Do you believe that it was created entirely for exchanging for USD? Do you not realize that in the real world, the minority holds the majority of all wealth? We’re paying to make the early adopters rich? Take a good look around you and tell me that isn’t the case for everything else in this world! When a Ponzi scheme crashes, it crashes fast, and it crashes all the way. @Bourke I like the idea of the system in principle and I believe cryptocurrencies will one day become a legitimate form of currency. The decentralized approach coupled with its portability give make it a very attractive vehicle for moving wealth around the world. My problem is that in its current form BitCoin is being used mostly by speculators and the real world value of it (which we can only judge against it’s ability to converted into other currencies) is undergoing unsustainable growth as @John Nagle, Silicon Valley, CA has pointed out. Whilst I’d hesitate to say that it was explicitly created for the purposes of making the creators and early adopters rich the system benefits them in a very disproportionate way. Additionally with the value jumping up so rapidly every day there’s a major disincentive to use them as real currency as why would you spend a dollar today that will be worth 2 tomorrow? There are also numerous other problems which need to be addressed before BitCoin can accomplish its goal as a currency, and some of them require nothing short of a complete rebuild (and hence loss of all “value” contained in the BitCoin ecosystem), which I’m sure none of them want. As I said previously I have no problem with rewarding innovators for their efforts. However BitCoin does this in a way that is at odds with its goal as becoming a vehicle for moving wealth around the world. The core idea is solid however and I’m sure an alternative system will more than likely appear that addresses all of BitCoin’s concerns and bring cryptocurrencies out of the speculative world. I think hoarding is the problem. How to deal with it? I think the idea of a decentralised currency is great but the way bitcoin does it is not satisfactory because it makes early adopters extremely rich and encourages hoarding rather than actual use as a currency. I think having a finite supply of coins may not be necessarily the problem. I think the problems of deflation and hoarding could be solved it the currency had a deprecating rate or degrading rate. I am trying to suggest a sort of recyclability. Say for example I get 1 bitcoin today, the moment I get it the clock starts ticking and it starts degrading so that tomorrow I have 0.99 bitcoin for example. The other 0.01 is recycled by the system (goes back to the mining pool). This way whoever got 1000 bitcoins at the beginning would not be able to hoard them indefinitely. And if people lost their wallets the money would eventually go back into the system. What we need is a system for money transfer not money making. Of course the 1% decomposing rate that I suggested is random, but that’s the idea. And to avoid cheating, an equal mandatory minimum transaction fee would be necessary to avoid people just paying themselves and recycling their own money. This would mean that if I pay you 1 bitcoin, you get 0.99 bitcoin and 0.01 goes back into the system. Each coin should have a defined lifespan. Actually, the mandatory transaction fee would not be necessary if the lifespan countdown did not restart every time the money was transferred. This would be a sort of live money. That’s exactly what he meant, the minority (the rich) own the majority. The other thing to pay attention to is the timespan involved. If its a pyramid or ponzi scheme, its an extremely long running one. Some of the biggest pyramid and ponzi schemes lasted for decades. A great example of an extremely long running ponzi scheme was the Madoff Investment Scandal, dating back to the early 1990s. BitCoin by comparison is still young in comparison and whilst most pyramid and ponzi schemes are pump and dump affairs there’s no reason why they can’t operate under the guise of being legitimate for many years before the house of cards starts coming down. I’d just like to add that I discovered that what I described above is called demurrage. Sivio Gesell created a currency like that called Freigeld (free money), and it was used in Wörgl (Austria), with much success a long time ago. If bitcoin had built-in demurrage, it would be difficult for it to work like a pyramid scheme. Sorry, his correct name is Silvio Gesell. Demurrage would alleviate some of the current concerns since hoarding currency (I.E. using it as an investment vehicle) wouldn’t be as viable, although the rate to curtail hoarding at the current BitCoin price levels would probably be far too high. If it was applied from the start that would’ve encouraged more use of the currency for sure and it would have addressed many of BitCoin’s limitations (since it has neither demurrage nor monetary inflation however, these problems will remain). @John Nagle, I am looking at the price chart right now, looks pretty stable for the moment, though I believe there will be wild swings in the future, and it is entirely possible the value could drop to 0 sometime in the future (due to some security breach, a better alternative arriving etc., plenty of options for failure), just like any stock could when the company goes bankrupt. You say bitcoin has no revenue, and therefore is a Ponzi. Of course bitcoin does not have a revenue, it is a form of money, not a company… You probably think gold is a Ponzi scheme too, albeit one that has been running for thousands of years…. You’ll have to remember that this post is well over a year old now and was written during the time when BitCoin was undergoing rampant, speculative growth that inevitably lead to the price crash that we saw not too long after. It’s much more stable than it was back then and the last bit of growth didn’t feed a wild value bubble to form so it’s definitely more resilient than it was before and that’s arguably due to the numerous investments that have been made in the BitCoin economy over the past year. At the time it had all the trimmings of a Ponzi scheme with the value being inflated far beyond its actual worth. These people then cashed out at the peak of the value curve, sending the price plummeting and devaluing the currency, again a trait shared by Ponzi and Pyramid schemes. This is not to say that BitCoin itself was created to facilitate this, much like how the original Ponzi scheme used International Reply Coupons, just that it was the vehicle used to accomplish it. Now the market seems to be wise to these kinds of things and is also much less susceptible to outside manipulation thanks to the greater amount of wealth contained within the system. I know the article was written in a different environment. Bitcoins were indeed severely overbought for a while, indicative of a lot of hot money coming into the latest “cool thing”, forming a temporary speculative bubble. I am not claiming bitcoin is a sure thing, it is definitely not, things like the 51% attack you mention in your article are valid concerns. It’s still a highly speculative ongoing experiment. Maybe its a lousy investment, a project doomed to fail. I do however believe it is not a Ponzi scheme,as there are no lies being told (software is open-source), and if the system functions as intended, it provides a valuable service as a payment system and potentially as a value storage system. Ponzi schemes are based on false promises, with the end-buyers inevitably holding the (useless) bag. Bitcoins will not be useless as long as people use them as a currency. Some people see this as a potential problem, but value is always subjective, so this feature is no different for bitcoins than it is for gold, US dollars or “Weimark” marks. I was just pointing out an error in John Nagle’s reasoning, as looking for revenue in a monetary asset makes no sense whatsoever. BitCoin is getting much better at becoming an actual currency as most of the activity that occurs within its ecosystem appears to be honest to goodness value transfers, exactly what a currency is meant to facilitate. The idea of it being an investment is counter-productive as that’s what led to the initial speculative bubble and thankfully it looks like most users are aware of that now. The system has become far more resilient thanks to the bigger increases in computer power available (like the ASICs that are just coming online) and the larger cash reserves, all making it much better than it was. It’s not currently being used to facilitate a large scale Ponzi scheme (there were other, smaller ones going on like Pirateat40’s BCST), but it most definitely was during the speculative bubble. I think John was perhaps referring to the fact that the growth wasn’t due to any organic appreciation in the BitCoin market, it was most certainly due to a rush of speculative investors looking to make a quick buck (revenue model then meaning source of growth). The growth we’ve seen since then is largely organic thanks to the increased usage of BitCoin and as such is a source of real growth rather than speculative inflation. Or I could be misinterpreting what he’s saying, but that’s what it sounds like to me. As John said “there is no revenue model, all growth comes from investors”, I am quite sure he was talking about the normal meaning of the word revenue, namely income for a company. Bitcoin definitely makes it easier for con-men to get away with their crimes, but a clear distinction should be made between people using the currency for their cons, and the currency itself being a con. Pingback: The Refined Geek » Dogecoin Gets It, Everyone Else Doesn’t.